New Stampin’ Up! Demonstrators get to Pre Order and Pre Earn! 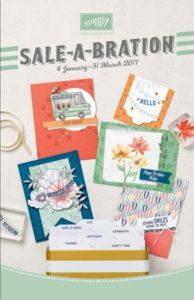 One of the best things about being a Stampin’ Up! Demonstrator is the perk of being able to pre order products a month before they go live. This is brilliant for people like me who plan far in advance for projects to show on YouTube and social media, but equally good if you’re the first-in-line type for when a product hits the market. Yes, I’m that too….! Oh and of course, as a demo, you get a nice discount too – 20% when you first join, and then upto 38% with progression! But that aside, as of yesterday, we demonstrators were able to order from the whole of the brand new Spring Summer catalogue that goes live on January 4th, and better still, start earning Free Sale a Bration products because that promotion goes live on January 4th too! Here’s the best bit though, new demonstrators joining are also able to add new products to their starter order too! 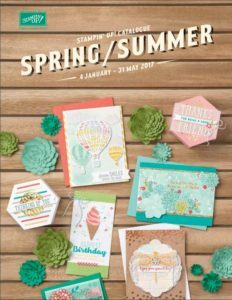 So, if you’re genuinely thinking of joining Stampin’ Up! and what to get in early with the new products, please get in touch with me. I’ve got an easy contact form below for you. My incredible team is spread across all 5 of the European Countries that Stampin’ Up! is in, so we are fully international over here! base of my heart, after looking over this great blog!